I received a question from a potential customer today about power production guarantees for Photovoltaic (PV) Systems. I realized that I hadn’t covered that issue on my blog, so I thought I would copy the question and response here (revised for clarity). Question: Is there a guarantee on the percentage power output of the proposed photovoltaic system? Answer: The Canadian Solar CS6P-250P modules themselves have a power production warranty that states basically that they will put out a minimum of 97% of rated power at test conditions during the first year and degrade no more than 0.7% per year thereafter through a total of 25 years. This is the primary power production warranty that will be applicable to your question. It is what they call a linear power warranty, meaning the degradation per year is expected to be 0.7% or less. This differs from traditional module warranties in that they have a tiered power output warranty (i.e. 90% production for years 1-10 and 80% in years 11-25). The Enphase M215 inverters also carry a 25 year warranty. There is no degradation rate specified for inverters. 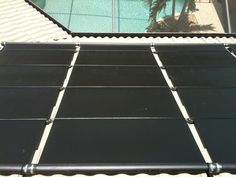 Generally they just work or don’t work at their rated efficiency level, which is very close to 100%, meaning they convert almost all of the energy from the panels into AC electricity. The benefit of a microinverter system is that you can easily detect deficient modules or inverters by comparing production levels to “neighboring” units through the monitoring system. There is “nowhere to hide” if a module or inverter fails. There is no power production warranty at the system level. The individual components have their own warranties, but neither manufacturers nor dealers provide system level production warranties typically (unless set ridiculously low). The reasoning for this is that power production is variable with weather. We can predict long-term production levels quite well based on 30+ years of weather data available through the National Renewable Energy Labs and other sources, and they provide a variety of tools for energy output estimation. However, in any given day, month, or year the production level can vary quite a bit. To give you a frame of reference, National Renewable Energy Lab’s PVWATTS estimator predicts the Naples Botanical Gardens PV site in Naples, FL will produce 51,673 kWh per year. The attached system monitoring reports shows that the actual production was 56,013 kWh over the last 365 calendar days. The prior year that number was 59,107 kWh. As you can see in the reports, there is significant daily variability in the production level based on weather. We have seen all of our Enphase based systems outperform the PVWATTS estimates over the last three years. 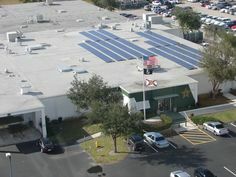 It’s hard to say whether that is a result of the microinverter technology, which claims a 10-15% advantage over string inverters, or if we have had exceptionally good weather. 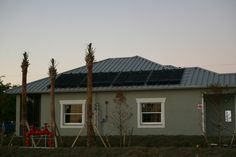 What I can tell you is that PV systems provide a reliable energy production in the long run. Many in the industry use a +/-10% figure to describe typical annual variability. I have found that to be the case in our area for systems we monitor. My company has never offered a power production guarantee. The way to get a real guarantee is to enter into a Power Purchase Agreement (PPA), which is somewhat like an equipment lease whereby you just pay for the energy produced by the system. You essentially pay someone other than the utility for your energy at a locked in rate for a long period of time. This can be an attractive option for many. Unfortunately, PPAs are effectively banned in Florida because utility monopolies have a exclusive right to sell power in the state, and you may not sell energy unless you are licensed/chartered to do so. In other words, if you wanted to put a solar electric system on your home and sell excess power to your neighbor, you could not legally do so. Some leases also come with power guarantees that are not very ambitious, but again, leases are not popular in Florida for a variety of reasons. The good news is that we do have netmetering, whereby you can sell excess energy back to the utility company at the retail rate (up to a point). While there is no power production guarantee for the typical customer owned renewable energy generation plant, the output is very reliable within a fairly tight range of solar photovoltaic production.